Carey delivers impactful lessons on leadership and personal growth. Every leader would be wise to follow Carey. 2. Dave Stachowiak of Coaching For Leaders: I recently stumbled upon Dave Stachowiak when I began to seek out new podcasts to listen to. Dave’s show, Coaching For Leaders, has been a breath of fresh air. On Coaching For Leaders, Dave talks with leaders such as Seth Godin, Daniel Goleman, Ken Nowack, and Michael Bungay Stanier. You’ll hear him dive deep with these leaders and learn new ways to lead. 3. Chris Stark of Hacking Your Leadership: Chris and his co-host, Lorenzo, are eager to help you become a better leader. 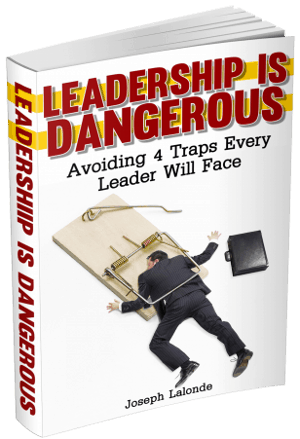 They share from their years of leadership experience on the Hacking Your Leadership podcast. Over the past year, I’ve come to love their banter and their insights. You won’t leave disappointed when you begin to follow these two leaders. 4. Patrick McDaniel of Wise Insights: Pat runs a great website call Wise Insights. He loves research and he loves helping people grow. Because of this, Wise Insights was formed. Following Pat, you’ll learn how scientific research plays into personal growth and leadership success. Give Pat a try! 5. Lolly Daskal of Lead From Within: Lolly is a prolific speaker and writer. She’s been featured in HBD, Inc.com, Huffington Post, and many other websites. She helps executive leaders improve their teams and revenues. Follow Lolly if you want to reach a new level of leadership. 6. Jenni Catron of The 4Sight Group: Want to become a healthy leader? Jenni is the person you need to follow. She has a passion to see leaders healthy and whole. Check Jenni out when you want to find out how to be healthy and whole while leading. It is possible. She can show you how. 7. Ryan McCarty of Culture Of Good: Ryan started The Culture Of Good when he was working for The Cellular Connection, the largest Verizon Authorized Wireless Retailer in the nation. He believes profits and doing good are not mutually exclusive. In fact, they go hand in hand. If you’re a leader looking to do good and make a profit, check Ryan out. He has a wealth of knowledge in doing good while making money. 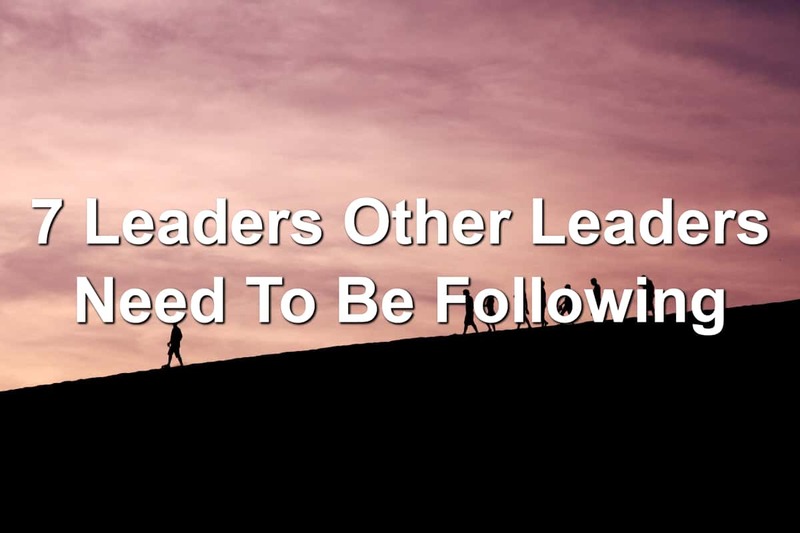 Question: Who is another leader you believe other leaders should be following? Share your choice in the comments below.